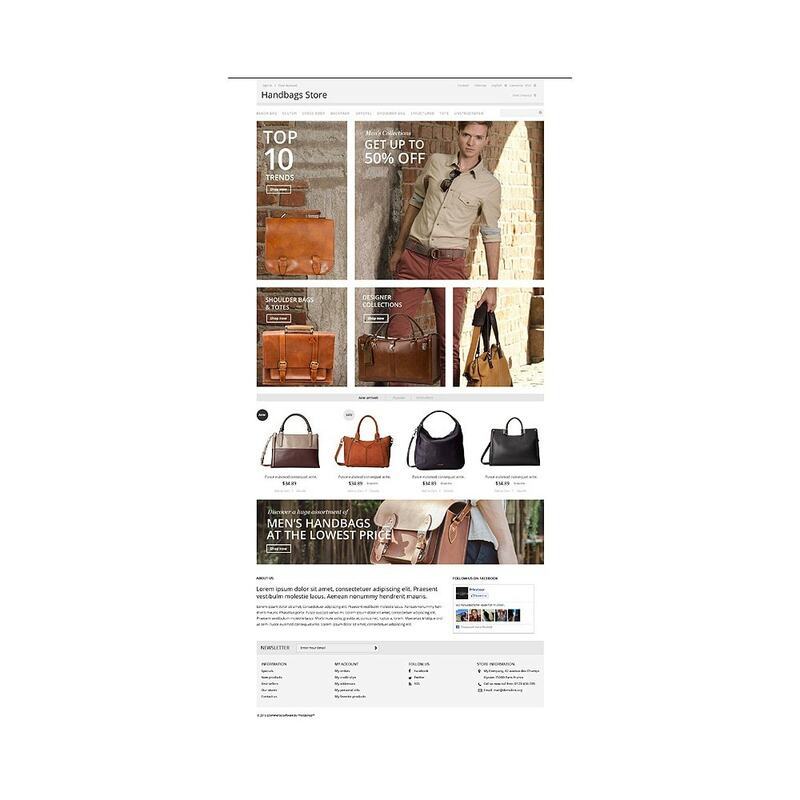 This stylish theme looks gorgeous on monitors with different resolutions, and is perfectly tailored for fashion, beauty, cars, interior and furniture, sport online shops. 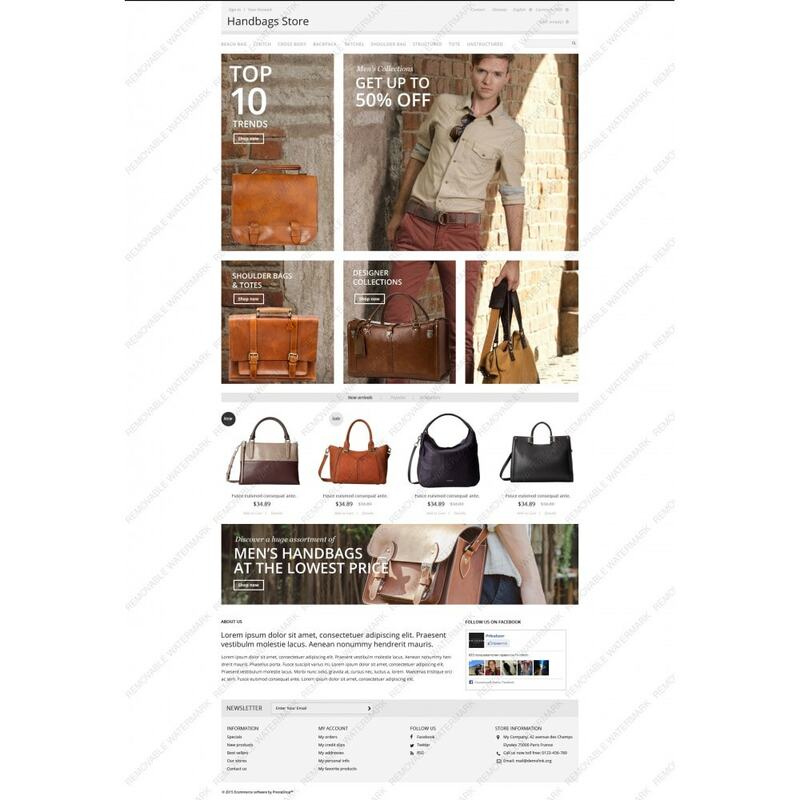 The image-friendly layout highlights all products from the store, large featured areas and promo banners facilitate the visitors' choice. 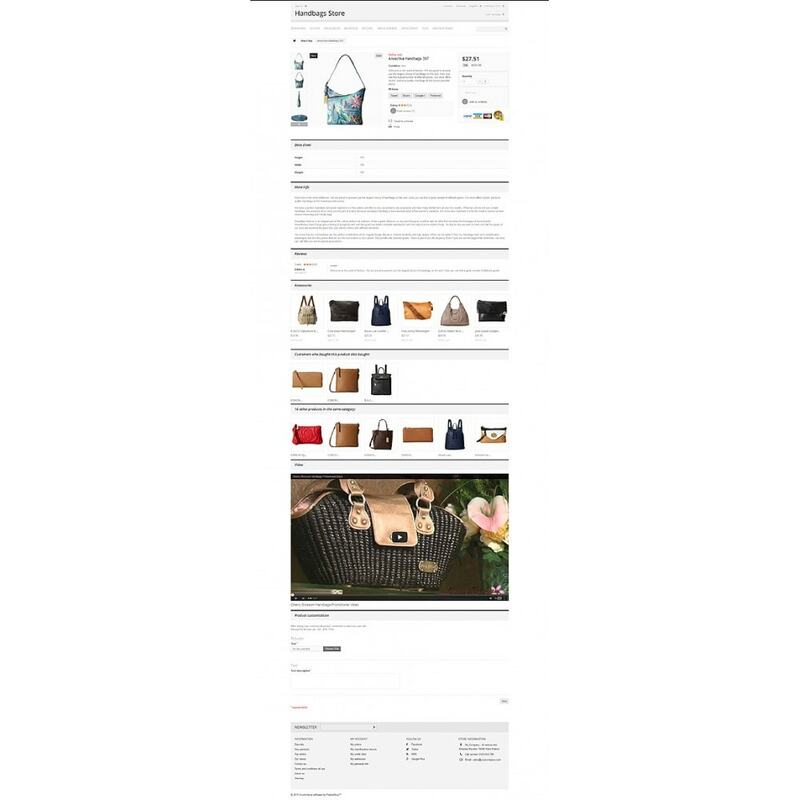 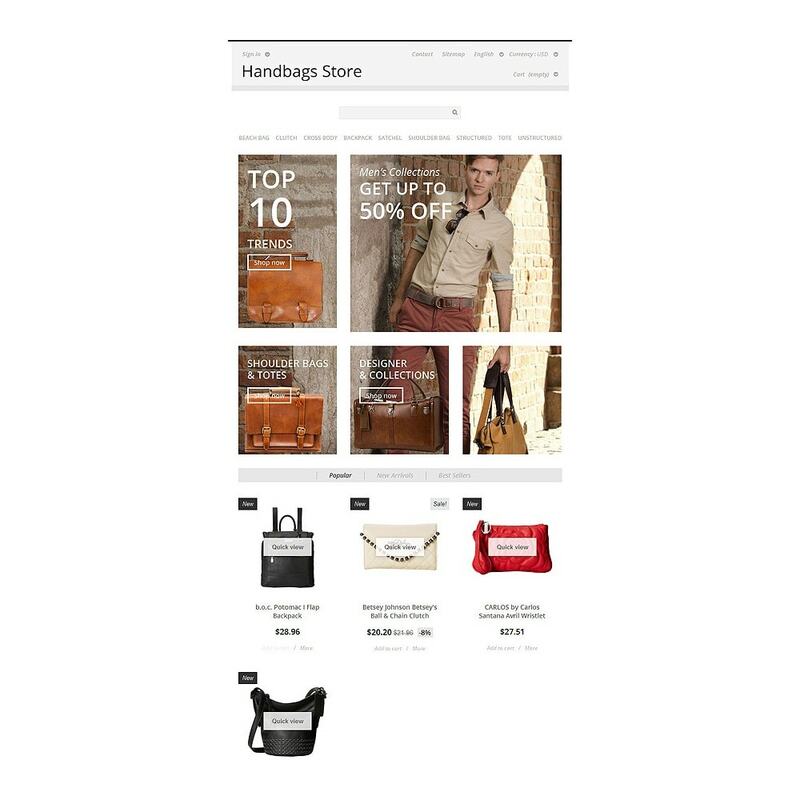 Intuitive navigation offers them a pleasant shopping experience, and a well-coded structure makes site customization a breeze. 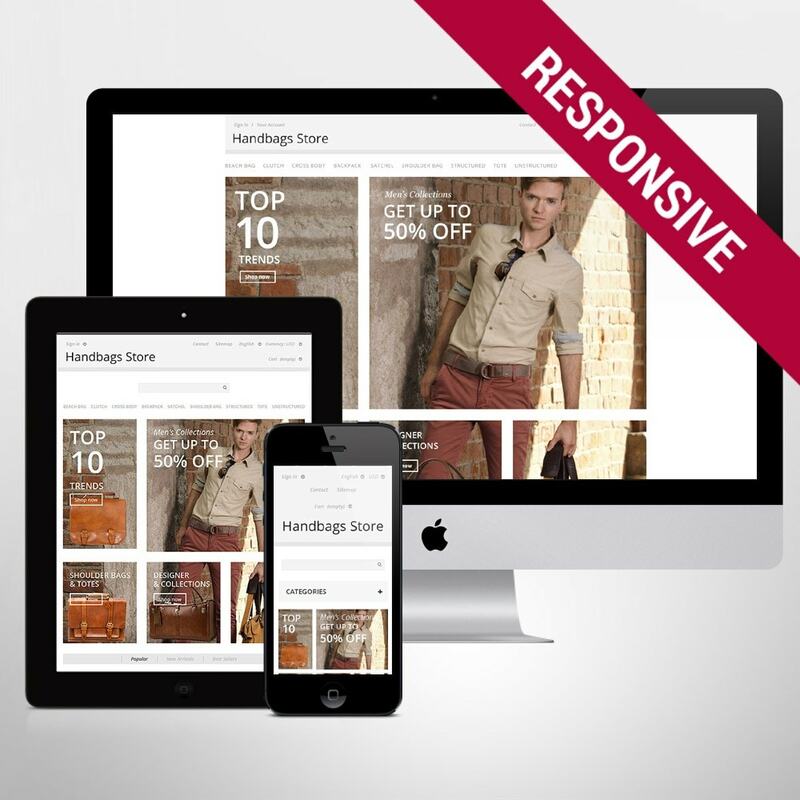 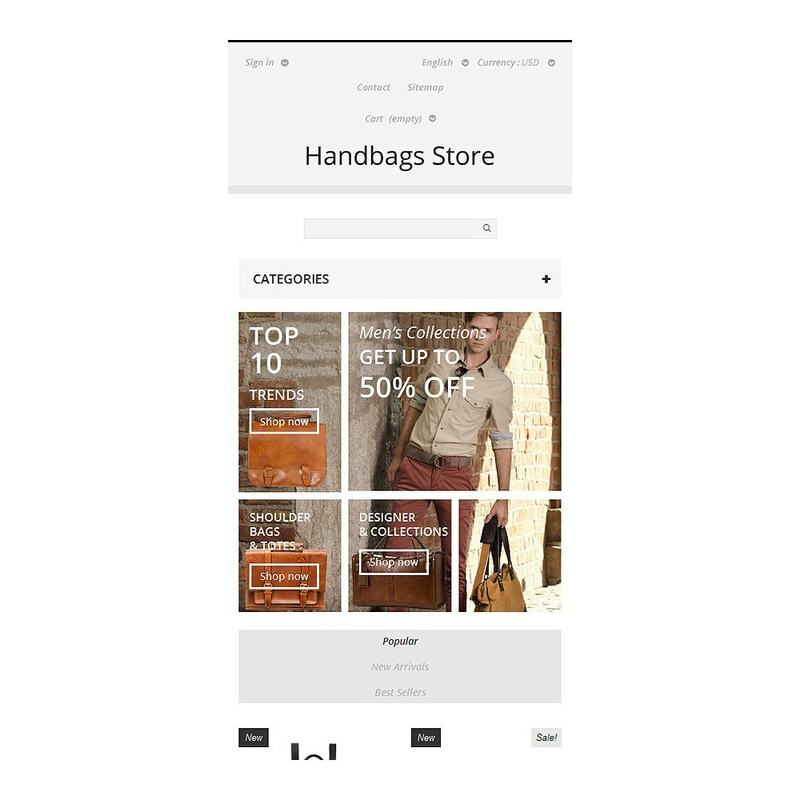 With sample data installer and color switcher implemented in this handbags PrestaShop theme, you'll easily turn its layout into the desired one, and start a successful shop. 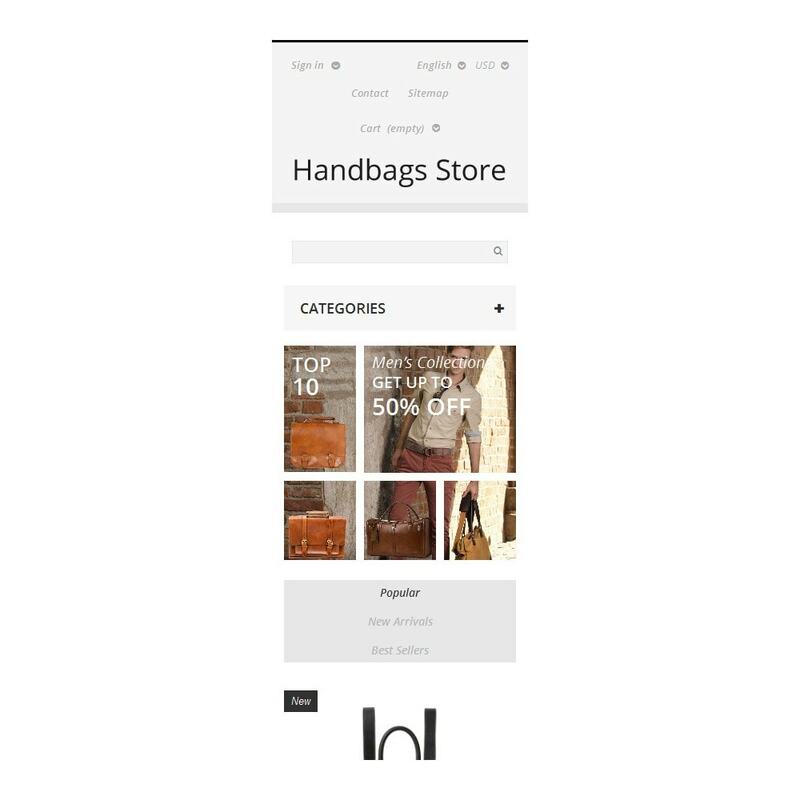 Tailored for fashion, beauty, sport, gifts, hobbies crafts shops.